The North Channel of Cork Harbour is possibly the most important mudflat area in the whole harbour. Large numbers of waders and wildfowl feed here during the autumn and winter, including Oystercatchers, Curlew, Black-tailed Godwits and Lapwings. Belvelly Bridge was constructed in 1807 and is the only bridge linking the Great Island with the mainland of Ireland. Belvelly Castle, situated on the Great Island side of the Bridge, is a typical mediaeval square tower dating from the 15th century and is reputed to have once belonged to Sir Walter Raleigh. 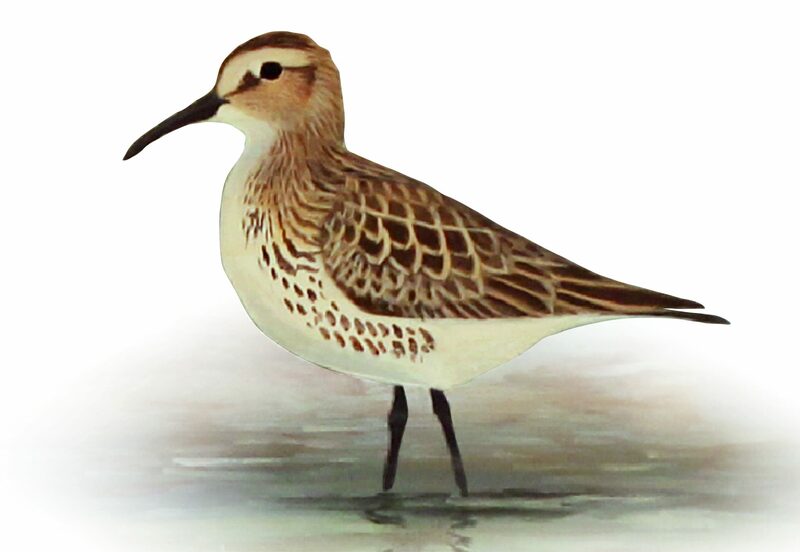 Please see opposite an image of a Dunlin, which may be seen here at Rossleague. © 2012 - 2019 - Ring of Cork. Midleton Enterprise Centre, Knockgriffin, Midleton, Co. Cork, Ireland. This website uses Google Analytics to collect anonymous information such as the number of visitors to the site, and the most popular pages. This helps us understand what information we are providing to our members to improve their content on our website. No personal data is collected, and all IP's are anonymised to protect your identity in compliance with GDPR laws.